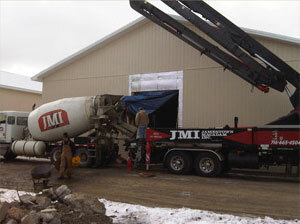 Jamestown Macadam, Inc.has been involved in the sand, gravel, asphalt, ready mix and precast business for over 50 years. Since the original operation which started in the 60’s we have grown to include 3 sand & gravel operations, 3 hot mix plants, one contractor supply outlet, 3 ready mix operations and a precast operation. Jamestown macadam, Inc is proud to be one of the largest family owned construction supply businesses in New York State.